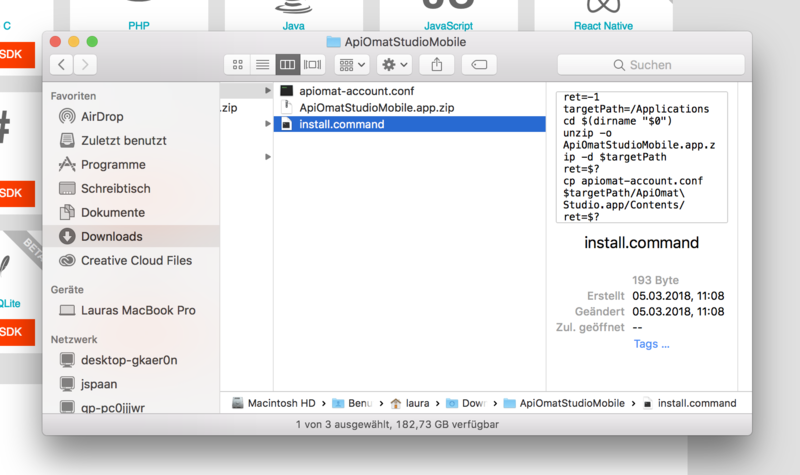 Before you get started with ApiOmat Studio, you need to download the application from your ApiOmat Dashboard. So log in your ApiOmat installation and click the SDK Tab. Click on the button "Download Studio" in the ApiOmat Studio Mobile box to start your download. It may take some time for the download to start, so please be patient. When the download it finished, you have to unzip the archive and execute the install.command. 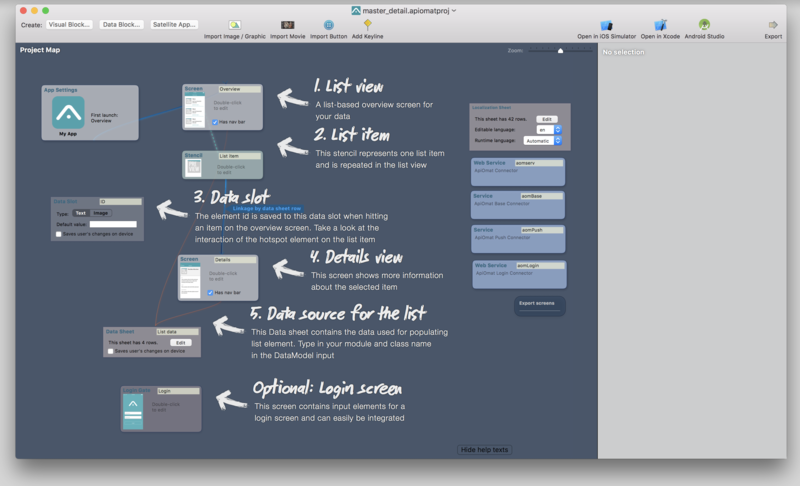 At this point you can dive into building your first app with ApiOmat Studio. However it’s more convenient to use our prepared sample app. You can get this app from the ApiOmat’s SDK Screen as well. Select ApiOmat Studio and click the download sample project button. 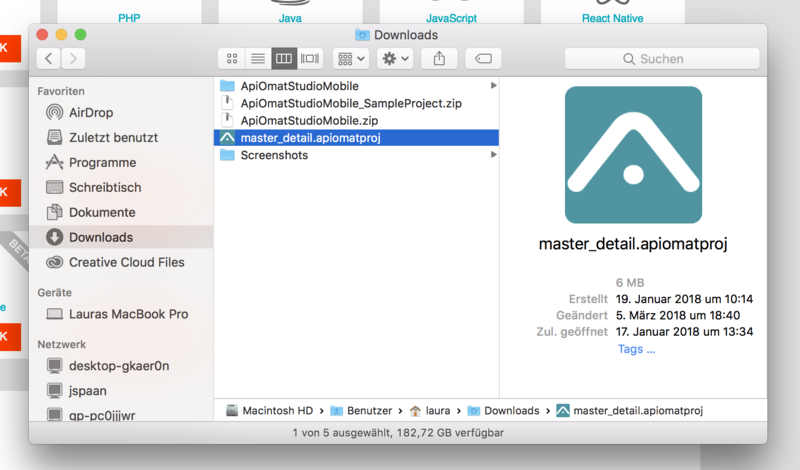 Unzip the project and double-click on the master_detail.apiomat.proj to open it with ApiOmat Studio.